​Does your heart burn with a desire to better understand the amazing mystery of the Eucharist? 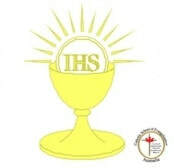 Have you ever doubted the true presence of Jesus, Body, Soul & Divinity in the Eucharist? Would you like to be equipped to defend with boldness this Sacrament central to our Faith? The Eucharist Seminar not only offers INFORMATION about the Sacrament, it equips Catholics with ANSWERS for the many questions often asked by people who do not fully appreciate this Sacrament of Sacraments. More importantly during the seminar there are opportunities to EXPERIENCE the healing power & grace of the Eucharist. Based on Sacred Scripture, the Catechism of the Catholic Church, Church documents & the wisdom & experience of the early church Fathers & Saints through the ages. The age old truths of our Faith meet today’s technology & the result is a very dynamic presentation providing an effective learning experience. Further information/register: Sandra Bishop 9434 7553.